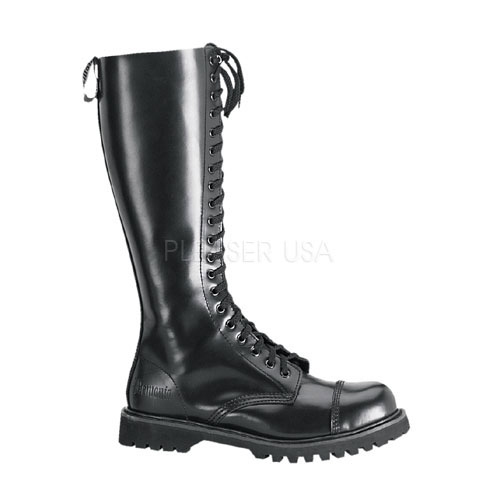 Another Great boot from the Demonia Line. The straight-up 20-Eye street classic. Looks great on girls and boys. Black Leather with 1 3/4" heel and rubber sole. Sized in men's sizes 4-13 (women's 6-15). This product was added to our catalog on 05/14/2014.